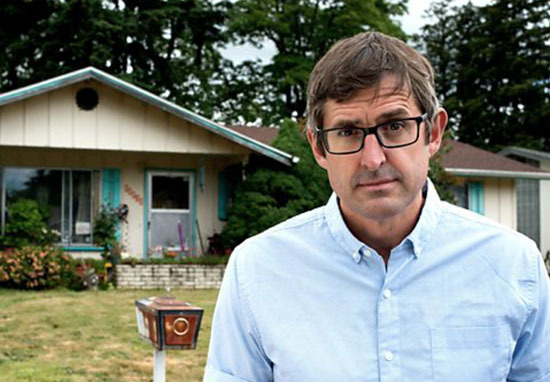 After teasing his new three-part series earlier this month, Louis Theroux has revealed what his new documentaries will be exploring. After last year’s Dark States, Louis will be returning with Altered States – a series ‘exploring the unusual ways modern America deals with birth, love and death’, according to a press release. Set entirely in America again, the series will explore the social attitudes and ‘radical new laws’ which have transformed how people can experience some of life’s most intimate moments – from raising children, to marriage, love and death. It’s been two whole years since we last had some fresh Theroux, and we’ve really felt it every single day. He first appeared on our screen 20 years ago, with his hit series Louis Theroux’s Weird Weekends. Louis is a unique talent on BBC Two and it is always a very special moment when a new series lands. Altered States is a hugely challenging, disturbing and illuminating trilogy, taking us into some extremes of experience, all guided by Louis’ exceptional empathy and humanity. Louis’ documentaries are some of the most fascinating, contemplative and honest on television. It is always a pleasure to have him on our screens tackling the subjects that many documentary makers would shy away from. Altered States will be aired in November this year, but if you can’t wait til then for your Theroux fix, we’ve got you covered. 70 of his brilliant documentaries are now available on the iPlayer. Titles such as Miami Mega Jail, Law and Disorder, and America’s Most Hated Family are sure to tide you over while we wait for the new series in November. Though his subjects can range from light to extremely dark, Louis’ documentaries are an eye-opening watch, skilfully presented and always well delivered.